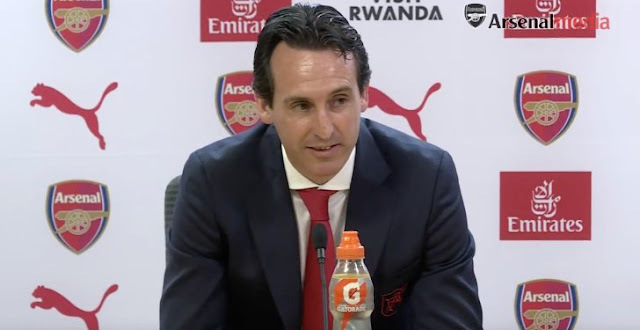 Home » Arsenal News » Emery going to play some of his first XI in the Europa League? Emery going to play some of his first XI in the Europa League? I was absolutely certain that Unai Emery would be using all Arsenal’s squad players when Voskla come to visittomorrow and even wrote a post about who would Emery pick from his reserves. But according to the coach in yesterday’s press cnferencce, he says he will pick his best XI so they can continue to practise his Emeryball tactics, and also said that some players could play tomorrow and at the weekend. He said: “For me, every match, each moment, is about finding the best performance with the players. We have four competitions this season. “I want the same thing for every player because each match is important. The second situation is that we need to give minutes to the players who can produce the best performance for us. The best 11 will play tomorrow so that we can continue to improve in our way both tactically and individually. What’s important for us is to produce a winning performance but also to continue to improve. “I told the players the same thing that I’ll tell you. The Premier League is the first competition because it’s giving us a big responsibility, maybe bigger than the others, in the season. There are 38 matches, so your first analysis is like this. Other competitions are very important too. “Today, we are only thinking about giving our supporters the first performance and a good 90 minutes on the pitch at the Emirates. We are excited about every match. I want to give the players the same excitement when they are at the Emirates. Then we are going to think about Sunday. First is tomorrow. This would suggest to me that he could play the first team players that don’t seem to have grasped his tactics yet, like our defence, which seems to have struggled so far by any measure. I would imagine he thinks it is important to start our Europa League campaign with a nice win under our belts, so perhaps tomorrows team selection is going to be a bit more interesting than usual!